Of all the gifts that life has to offer, mom is the best of them all. It is an international gifts’ portal and best when one has to gift the best to their special ones and make their day special. The site is loaded with a variety of gifting options and allows one to select from a host of options. They have also curated hamper options which is a great advantage. This makes it easy to buy and select the ultimate gift. I was in a complete dilemma while selecting that special gift for my mom as the hamper options were ovelwhelming and beautiful. Finally, I landed on two different hampers and both were equally wonderful. 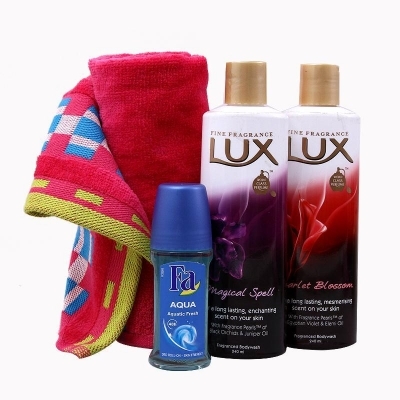 One was a bath and spa hamper consisting of 2 aromatic body wash, a loofah and a Fa roll-on by Lux. 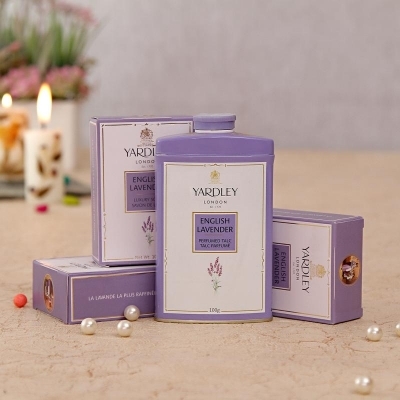 Another was a beauty hamper by Yardley London with 3 Lavender bathing soaps’ set and a Lavender perfumed talc. They were reasonable enough and I ended up buying them both. My mom loves perfumes and Yardley London is her favorite brand for beauty. So, I knew that they would be perfect as a gift for her and hence, I immediately bought them. There are variety of buying options like online payments and COD. The delivery options are also varied. One can either opt for a quick same-day delivery or a normal delivery which is also within a week. Also, another option is to deliver the gift on the address of whom you wish to gift the product. Also, there were gift wrap options. Since mine was a casual gift and the person was my mom, I selected normal delivery and my home address for the same. The gift was received within 5 days of order and my mom attended it. She was surprised to see an unexpected order at her name. When she opened the box, which was neatly packed, she was taken by surprise. Her favorites were present in it and she couldn’t stop smiling. I told her about the gift and she kissed me on my cheek. What more did I want? This joy of gifting was possible because of IGP and their awesome display of gifts and timed delivery. I’m glad to have used their service and I recommend it highly for anyone who prefers buying a gift for their loved ones. I assure you, you won’t be disheartened. Isn’t it a great way to buy gifts? Why not try IGP? Share your ideas, views, thoughts in the comment section. Previous Previous post: 12 Things Only Epilator Users Will Know! Next Next post: How To Build Your Own Daily Jewelry Wardrobe!